The hajj pilgrimage draws millions of Muslims each year, sometimes overwhelming host Saudi Arabia. Toronto architectural firm, Moriyama and Teshima and engineering company MMM Group are helping make the holy journey better — a $227-billion, 30-year project. THE PILGRIMS were jammed shoulder-to-shoulder in a crowd of thousands, heaving as one toward the Jamarat, the three concrete walls that symbolize Satan. Many carried handfuls of pebbles to pelt the 26-metre walls, re-enacting the prophet Abraham’s rejection of the devil. Some pilgrims nearing the end of the week-long hajj pilgrimage walked the narrow road outside Mecca carting sleeping bags, tents and suitcases, packed for the trip home. At the foot of the Jamarat bridge, where the wave of those arriving to perform the rite collided with those preparing to leave, several pilgrims tripped over luggage and were trampled by the crush of those behind them. The crowd was seized with panic. Ninety minutes later, at least 345 people lay dead or dying. In places, the dead lay seven deep; more than 1,000 others were injured. The tragedy on Jan. 12, 2006, came eight days after 76 pilgrims were killed when their hostel collapsed and two years after 250 died during a similar stampede. For the Saudi royal family, which has controlled Mecca since 1924, this was holy failure. Guardianship of Islam’s sacred cities — Medina and Mecca — and the safeguarding of the hajj is a covenant made with Muslims around the world and with Allah. Saudi Arabia is a spiritual home to the world’s 1.6 billion Muslims and each year as many as 3 million people arrive to perform the hajj, the pilgrimage anointed by the prophet Muhammad. 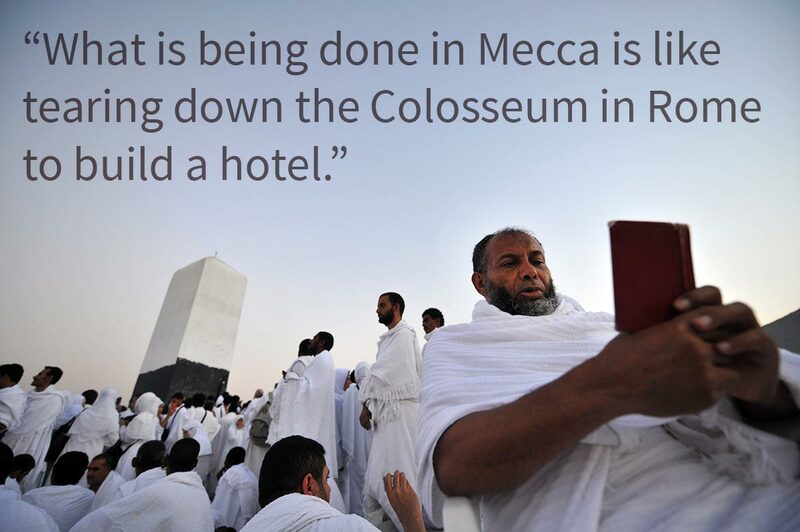 In the 14 centuries since Muhammad died in 632, the hajj has become one of the world’s largest annual pilgrimages. But until the 1950s, when commercial air travel brought Mecca within reach of Muslims everywhere, fewer than 100,000 pilgrims arrived each year to perform the hajj’s six rites, which include praying and sleeping in the desert and walking seven times around the Kaaba, the sacred black-curtained granite shrine Muslims around the world face during daily prayers. Today, the demand for pilgrim visas increases every year — the Jakarta Post newspaper reports that Indonesia’s hajj waiting list is 12 years. By 2030, five million pilgrims are expected as the world’s Muslim population increases to 2.2 billion, according to the Pew Research Center’s Religion and Public Life Project. Mecca, Medina and the Mashaer, the desert near Mina where pilgrims sleep and pray, can be overwhelmed. It is as if every resident of Montreal picks up for a month every year and moves to Ottawa. Pilgrims circle the Kaaba — the sacred black-curtained granite shrine Muslims around the world face during daily prayers — inside Mecca’s Grand Mosque. For Saudi King Abdullah, whose title first and foremost is Custodian of the Two Holy Mosques, his legacy will be closely tied to the improvement and expansion of the pilgrimage sites. Catastrophes such as the stampede of 2006 cannot be tolerated. Following that tragedy, the king’s advisers recommended seeking radical changes to everything from public bus, road and rail systems to the design of new neighbourhoods. King Abdullah will turn 90 this year and is in failing health. He instructed his staff to spare no expense and scour the world for answers. They found some in Toronto. 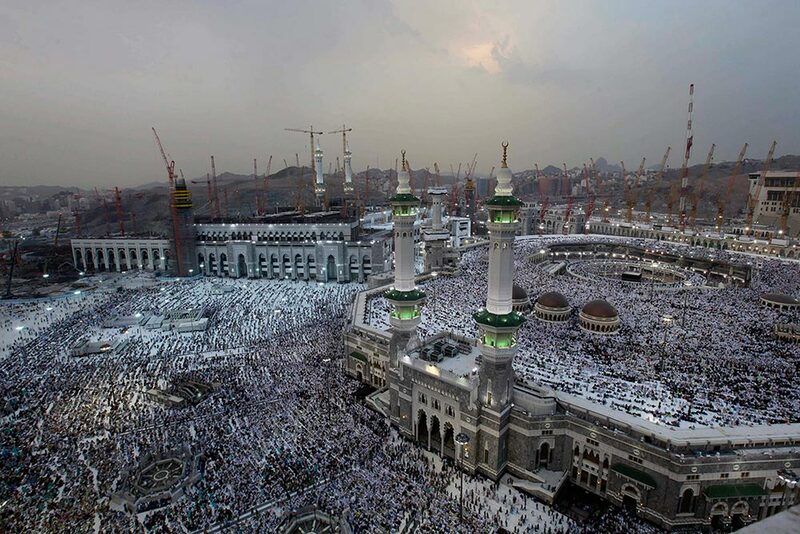 Cranes rise at the site of an expansion to the Grand Mosque, right, as Muslims attend prayers at sunset in 2013. By 2030, five million pilgrims are expected for the hajj. 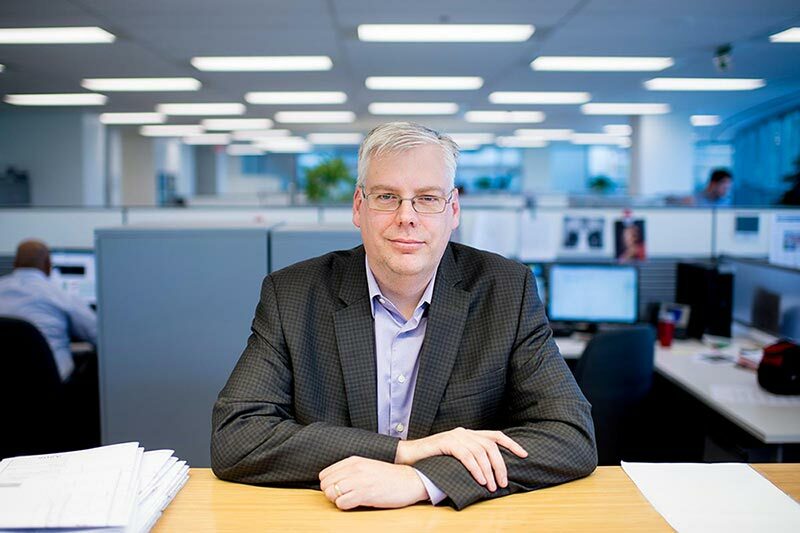 When the first fax inviting bids for contracts in a 30-year, $227-billion master plan to remake the hajj arrived in November 2008, Hugh O’Donnell of the Toronto engineering company MMM Group ignored it. He ignored the emails that followed. He didn’t recognize the sender. But on Nov. 25, 2008, a package arrived at O’Donnell’s office in Ottawa from Hossny Al Rahman, a Saudi Arabian government employee and friend whom O’Donnell had met in 1996 at a conference in Ottawa. Rahman’s cover letter laid out the stakes. Rahman believed that O’Donnell, a former assistant deputy minister of Energy, Mines and Resources, could use his experience with geographic information systems, or GIS, in the Saudi project. The mapping software —first developed in Canada — overlays detailed digital maps with additional information, such as ground water deposits or the location of schools. GIS was already providing a better look at Canada’s Far North, analyzing mineral, oil and gas deposits. Rahman had coveted the Canadian technology because Saudi Arabia was trying to improve mapping of its oil deposits. Now he saw the benefits of being able to drop a virtual 30-storey apartment complex into a neighbourhood and immediately see the impact on transportation or water consumption. MMM Group’s bread and butter had been domestic municipal projects, such as designing the Golden Ears Bridge in Vancouver and a new terminal at Pearson International Airport. The chance to win such a prestigious contract was potentially transformative. But MMM Group had only two days to decide to submit a proposal. 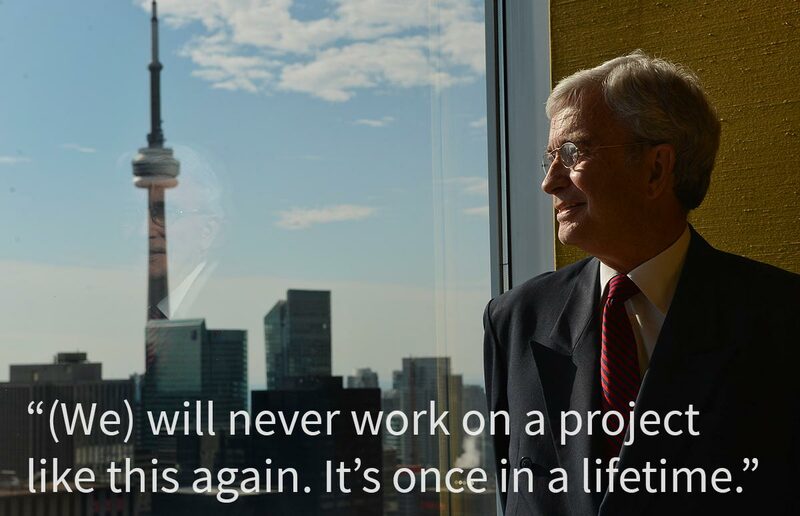 O’Donnell, the company’s president of international operations, took the project to his boss. To understand Islam, the MMM staff was sent to watch the IMAX film Journey to Mecca and the company hired adviser Nouman Ashraf, an Islamic studies scholar at the University of Toronto. In early January 2009, the Canadians learned they had won a $15-million contract to be split 70-30 between MMM Group and Moriyama. MMM was charged with designing a framework that would take into account how much space, water and electricity the expanding city’s occupants and visitors would need, down to the last drinking fountain. Moriyama’s staff would draft detailed drawings. HOW DO YOUdevelop a vision for a place you aren’t allowed to visit and for rites you can’t perform? The question has dogged the non-Muslim Canadians who are now in the fifth year of what was supposed to be a two-year contract. The millions who arrive each year overwhelm Saudi Arabia’s electrical grid and water and sewage systems. Choked roads become dangerous bottlenecks. Once, it took health workers more than three hours to move a pregnant woman in distress 150 metres to a medical station. The Saudi government manages the crowds by issuing permits — last year, for instance, only 2 million were allowed into the holy cities because of construction in Mecca. Non-Muslims are banned both in Mecca and Medina. At a special airport terminal used only a few weeks a year exclusively for the hajj, 22,500 health workers screen 100,000 daily arrivals for tuberculosis, meningitis and flu symptoms. Nurses give vaccine drops to people arriving from countries deemed high health risks. To grasp this scale and appreciate the importance of the project, some of the 50 employees from both firms who worked on it sat with sheiks and princes, getting a glimpse of a culture usually closed to Westerners. A half-dozen Muslim employees were dispatched to Mecca and Medina, where they recorded residents’ tales of long-ago afternoons spent swimming in the wadis outside Mecca. Those stories would inspire the Canadians to plan a nature preserve. Moriyama architect Jason Phillipe spent hours walking through Al Balad, Jeddah’s historic quarter, where architecture and street plans are similar to old Mecca. Al Balad is a maze of dogleg alleys and ancient lanes. Shops on the weathered stone courtyards sell sequined abayas, the flowing black robes worn by women, as street vendors hawk oranges, dates and ice cream. The smell of strong coffee and incense hangs heavy in the early evening when crowds flock to the streets as temperatures drop. During summer, it can reach 52 degrees in the shade. Phillipe’s exploration of Al Balad helped him understand how streets in Saudi cities could be improved. Hajj pilgrims should be led through streets that run north to south so buildings can shade the noonday sun. Streets can’t be too wide, or the shade is lost, and the buildings lining them can’t be too tall, as the wind wouldn’t circulate at street level. IN THE ANCIENTcountry, urban planning is a new idea. In 1932, when the Saudi kingdom was founded, the capital Riyadh was a walled city of 30,000. There were no paved roads and cars were rare. (Canada at the time had 1 million registered cars.) A trip to the coast from Riyadh took three days by camel. The discovery of oil in 1938 brought riches, but not immediate change. When oil platforms began appearing in the Saudi desert after the Second World War, only 15 per cent of Saudis lived in cities, compared with 80 per cent today. Today, the skylines of most Saudi cities are marked by cranes. The kingdom is spending $500 billion to build six new cities that will, by 2020, house five million residents and produce one million jobs. Drawings of the King Abdullah Economic City, to be built an hour’s drive from Mecca, look like something out of the science-fiction movie Minority Report.In Jeddah, particularly along the road to Mecca, piles of iron, steel and stone await workers. Lanes are blocked around construction projects, snarling traffic in a city that has four rush hours every day — two at the beginning and end of the workday, and two more during shopping mall time, from 5 p.m. until 11 p.m.“Our malls are like our second homes,” said Jamila, 21, a clerk at a grocery store in the Red Sea Mall. That she could speak to a foreigner was in itself a sign of change in the kingdom. Until three years ago, only men were permitted to work in shops. Amid such transformation, the Canadians were told anything goes when they signed their contract. Developers, too, are rarely told that something is off limits. The house of the prophet’s wife Khadijah in Mecca has been razed, replaced with public bathrooms. Dar al Arqam, where Muhammad spoke to his followers for 14 years, has been levelled and replaced with a Hilton. A citadel, built in 1781, was bulldozed in 2002 and replaced with a glass-and-concrete hotel where suites during the hajj can cost $7,000 a night. The Gulf Institute in Washington estimates 95 per cent of Mecca’s 1,000-year-old buildings have been destroyed during the past 20 years. Critics of the construction boom are ignored by the government. It embraces Wahhabism, an arch-conservative interpretation of Islam that sees historical sites as encouraging shirq, the sin of idolatry. The Canadians used Google Earth to take virtual tours of Mecca, especially helpful after data promised by the Saudis was hard to decipher. Rahman dismisses the criticism. “You hire someone local who speaks Arabic,” he said. 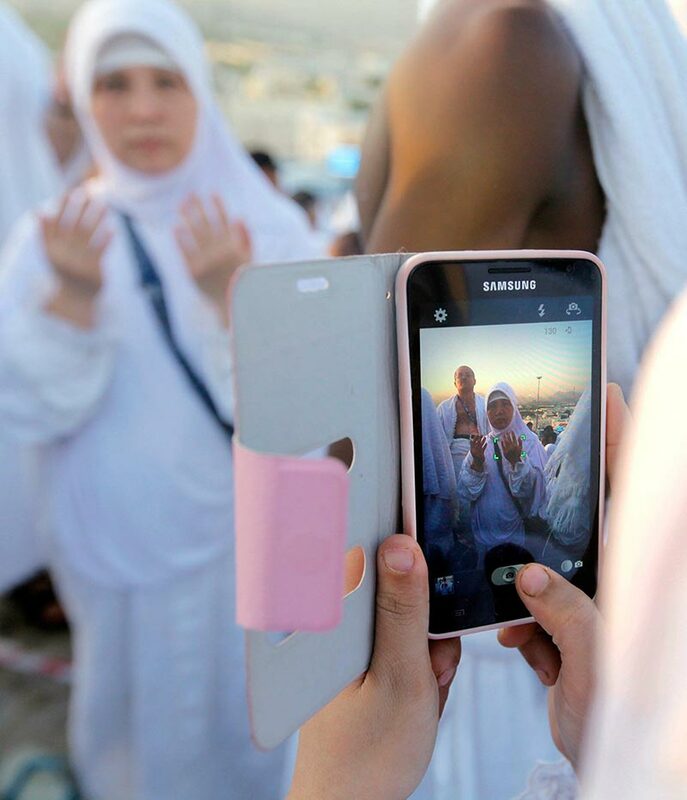 The hajj is an ancient pilgrimage, with increasingly modern touches. The Canadians were reluctant to move their families to a kingdom where censors go through magazines, pressing black tape over photos of women’s exposed arms and legs. A few had run-ins with themutawa, the religious police, who, in one instance, believed a Canadian was taking photos of women. A member of the mutawa grabbed my arm. Five minutes later, the officer, who had a long beard and wore a white, ankle-length robe, was joined by a security officer who examined my passport and then deleted photos from my camera. It was a similar story days later at the hajj airport terminal, a network of 200 massive Bedouin-inspired canopies held up by steel cables and columns. After I photographed the canopies, a red Saudi air force jeep roared up. A colonel questioned me for 30 minutes before deleting the pictures. “We decide what is appropriate here, not you,” he said. For many westerners, the kingdom is impenetrable. For Willis and his colleagues, the first hint that they might have taken on more than they could handle came in mid-2009, when an innocuous announcement from Abdullah’s palace exposed the Canadians to Saudi palace intrigue. King Abdullah was ill and named his son Naif as second-in-line to the throne. Prince Metib, Naif’s older brother who was overseeing the Canadians’ project, felt slighted and moved abroad; his son Prince Mansour became minister of urban and rural affairs. But Mansour is younger than Prince Khalid, the governor of Mecca, who wrestled the Holy Cities project away from Riyadh and insisted the Canadians report to the two regional governments. These governments changed the Canadians’ visas, forcing them to leave the country after every 30 days. They lost their office space in Jeddah and met in the lobby of the Sofitel Hotel in their pyjamas, rigging an intranet connection by stringing cable through the hotel’s air ducts. Rahman, a supporter of the Canadians, was replaced. Stephen Willis, manager of the Holy Cities project for MMM Group. By early 2011, MMM Group and Moriyama presented 41 reports on the future of the holy cities. A few stood apart: the Haram, or holy mosque in Mecca, public housing, transportation and the environment. 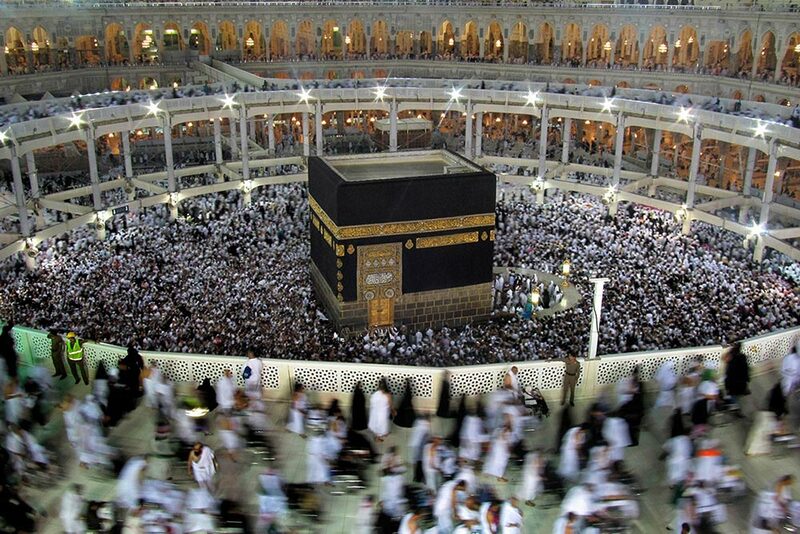 Upon arriving in Mecca at the Grand Mosque, pilgrims circumambulate the Kaaba seven times. Trouble is, the pilgrims who have completed their seven circles are trying to leave as others are arriving. The architects suggested an underground ramp that rises from the basement of the Holy Mosque and emerges close to the Kaaba. From there, pilgrims would begin walking, moving farther away with every circle, exiting at the Sai, where the Prophet Abraham’s wife Hagar rushed between two mountains searching for water for her son. The ramp would increase capacity from 52,000 pilgrims per hour to 60,000.